This outrageous musical comedy follows the misadventures of a mismatched pair of missionaries, sent halfway across the world to spread the Good Word. THE BOOK OF MORMON contains explicit language and may not be appropriate for all audiences. Not recommended for those under age 16. Based on the award-winning graphic memoir "Fun Home" by Alison Bechdel, a true story becomes a Tony Award-winning Best Musical. We see Alison at three different ages, revealing memories of her uniquely dysfunctional family – her mother, brothers and volatile, brilliant, enigmatic father. Nine is a Tony Award-winning musical that follows film director Guido Contini as he dreadfully approaches his 40th birthday in early-1960s Venice. As Guido faces a midlife crisis that doubles as a creative roadblock, he becomes entangled in a web of romantic troubles. 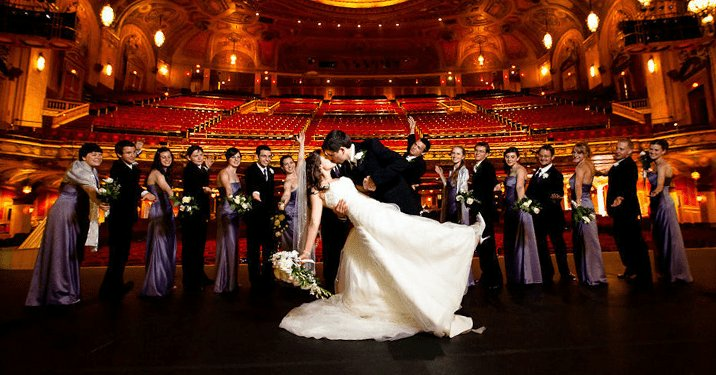 Shea’s Performing Arts Center (Shea's PAC) is a campus of three theaters in downtown Buffalo comprised of Shea’s Smith Theatre, Shea’s 710 Theatre, and the historic crown jewel, Shea’s Buffalo Theatre. These venues boast varying styles of performing arts, but all are sure to please the audiences that attend. 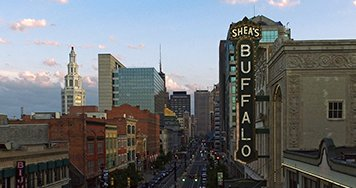 From touring Broadway to International collaborations and local rentals, Shea's PAC helps enrich the Buffalo Theatre District and supports Main Street's downtown business renaissance. Shea’s Buffalo Theatre, the historic crown jewel of Shea's PAC, opened in 1926 under the moniker of “The Wonder Theatre” and was the dream of Michael Shea. Originally serving as a movie house under Paramount Pictures with “an acre of seats”, it would later stage vaudeville shows and play host to the likes of the Marx Brothers, Frank Sinatra, George Burns, Bob Hope and more in the 1930’s. 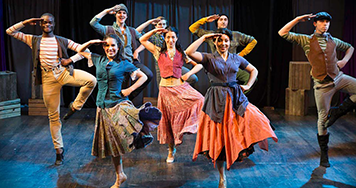 Once a Swiss Chalet, now a 237 seat “black box” theatre, Shea’s Smith Theatre has played host to Off-Broadway productions, comedy and collaborative productions with local theatre companies since 2000. Somewhat of a chameleon space, it also offers ample room for events and special occasions. Shea’s 710 Theatre is the latest space to be added to the Shea's PAC campus. Housing 625 seats and offering Broadway productions and plays produced by local and international theatre companies, it is considered a “thrust stage”, where the stage projects into the auditorium and audiences can sit on three sides. Enhance your theatre experience at Shea’s with the ultimate welcome message in Shea’s Main Street Marquee! You choose the performance (limit of 5 per season, per household) and it will be on rotation for an hour before and after the show! A once-in-a lifetime photo opportunity that you can share with family and friends, use on social media, or turn into a holiday card! The possibilities are endless. Follow us on social media to receive updates about new events, special offers and Shea’s news!